A nutritional supplement with no artificial colors or flavors and no synthetic vitamins. 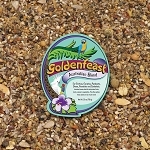 For all exotic birds. 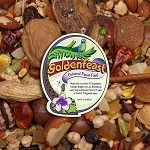 More than 40 ingredients, including non-traditional nuts and fruits. 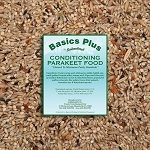 Beans are cooked and dehydrated for better nutritional absorption. Vegetables and fruits are dehydrated unless otherwise noted. Does not contain peanuts. 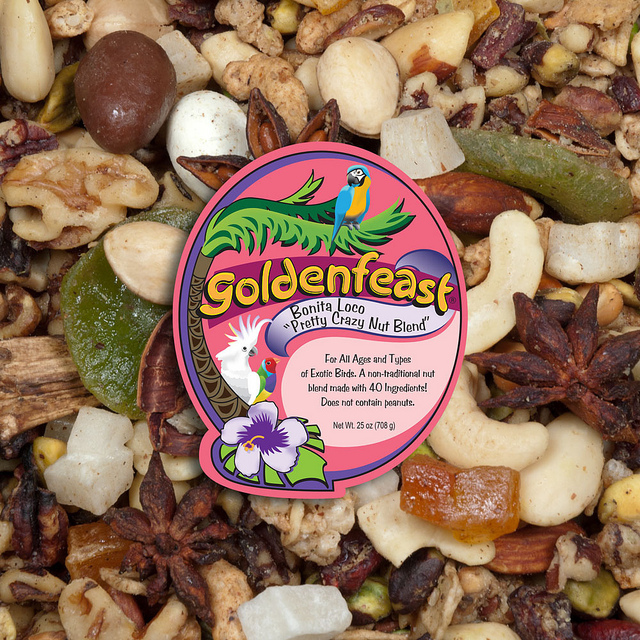 Ingredients: Gourmet Roasted And Raw Nuts Consisting Of Roasted Almonds, Cashews, Walnuts, Pecans, Filberts, And Shelled Pistachios. Granola Made With Rolled Oats, Whole Wheat, Brown Sugar, Canola Oil, Natural Coconut, Sweet Dairy Whey, Oat Flour, Roasted Almonds And Honey. 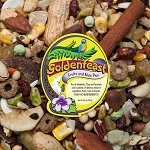 Sunflower Kernels, Sesame Sticks (Made With Unbleached Wheat Flour, Malted Barley Flour, Soybean Oil, Sesame Seed, Bulgar Wheat, Salt, Beet Powder And Turmeric For Color), Roasted Chic Peas, Whole Wheat, Cranberries, Kiwi, Roasted Pistachios In Shell, Mango, Papaya, Yogurt Coated Raisins (Yogurt Made With Sugar, Palm Oil, Coconut, Brown Sugar, Whey, Carob, Lecithin & Pure Vanilla), Apricots, Yogurt Coated Almonds, Carob Coated Almonds, Pepitas, Whole Star Anise Seed, Pine Nuts In Shell, Freeze Dried Sweet Corn, Freeze Dried Sweet Garden Peas, Cooked & Dehydrated Assorted Beans & Peas, Cubed Coconut, Hulled Oats, Whole Wheat. 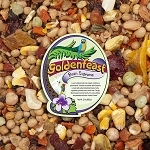 I have gotten this a few times and all 6 of my parrots love it!